Great Yarmouth Town Hall01493 846125work Historic HouseArguably one of the most beautiful buildings in the town, Great Yarmouth Town Hall was built in the 1880s and is a classic example of fine Victorian Gothic architecture. A Grade II listed building, the town hall has a beautiful clock tower that was fully restored in 2008 when a number of other renovations were also carried out. The Town Hall was designed by architect J.B.Pearce and opened by the Prince of Wales on 31 May 1882 before he became Edward VI. 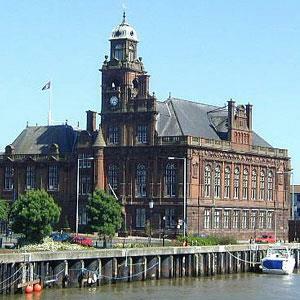 The Town Hall is a public building used as offices for Great Yarmouth Borough Council. Tours of the Assembly Room, Council Chamber, Supper Room and Robing Room are occassionally available by contacting the Mayor's Secretary. 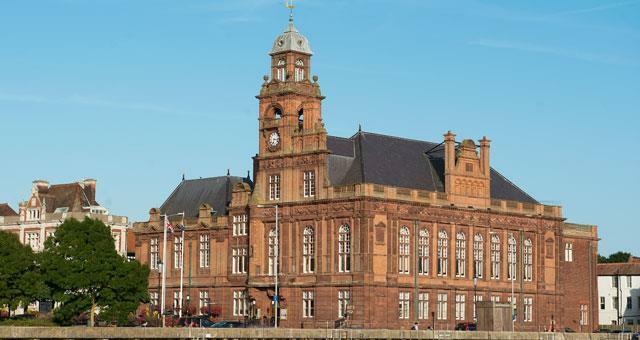 Arguably one of the most beautiful buildings in the town, Great Yarmouth Town Hall was built in the 1880s and is a classic example of fine Victorian Gothic architecture. A Grade II listed building, the town hall has a beautiful clock tower that was fully restored in 2008 when a number of other renovations were also carried out. Tours of the building are available occassionally on request.